The Art Institute of Chicago today begins an exhibition of the art works of Jeff Wall, an artist based in Vancouver Canada. Jeff Wall produces works in a format of photographic transparencies mounted in aluminum light boxes. The result is large often mesmerizing works of stunning luminosity. His use of light and color is exceptional and as he describes it "cinematographic". The photos are usually large and staged but the effect is one of lifelike realism. What makes Wall's work even more impressive is the resonance with works of 17th and 19th century masters from whom he often takes inspiration. In an illuminating talk yesterday evening, at an event inaugurating the exhibition, he described the initial impetus for many of his works as "accidents" of time or place. The muse seems to touch him randomly, not unlike many great artists. The result is often stunning and, while I did not appreciate some of his more pedestrian subjects, the best of his work is very good indeed. The current show was organized by the Art Institute in collaboration with The Museum of Modern Art in New York and the San Francisco Museum of Modern Art. But as James Rondeau noted last night in his introduction of Jeff Wall the Art Institute is the only museum of the three that is able to exhibit Wall's art in context with those artists from whom his work is inspired and with which it resonates. My attendance at the exhibit, lecture and reception following yesterday evening was a delightful way to spend a few hours communing with the muses. In 1910 Joseph Conrad published a novel about a young man named Razumov. This novel is Under Western Eyes and like so much of Conrad it is well written and full of psychological insight. For the 'hero' of the story takes up with a terrorist, Victor Haldin, and betrays him to the secret police. This act haunts him throughout the rest of the novel and the ramifications of his actions determine to a great extent his fate. Set in St. Petersburg before the fall of the Czar and in Geneva Switzerland where revolutionaries plotted against the Czar, this novel takes you into a world of intrigue that shares the atmosphere of that era. The narrator of the novel is a professor of English living in Geneva who through access to Razumov's diary is able to narrate both the inner thoughts of Razumov while sharing the outer circumstances that he observes. This is a novel that lures the reader with a psychological suspense and does not disappoint. 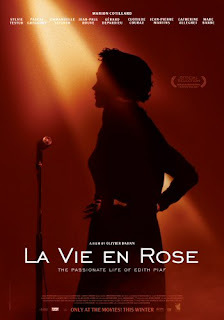 Marie Cotillard gives a bravura performance as the French chanteuse Edith Piaf in this epic biographic film. Interlacing her final years of decline with the story of her life from the moment she is a waif sitting on a small side street in a rural French town this film chronicles the story of one of the greatest natural songstresses to ever live. Director Olivier Dahan has created a singular film which, while it over emphasizes the dark side of her life, brings home the arc of an extraordinary life. Gerard Depardieu is excellent in a small role as Leplee, the producer who 'finds' Piaf singing on the streets of Paris and gives her the name of 'the sparrow'. Piaf's struggles seemed almost Dickensian, but through it all she forges ahead with her singing to charm audiences and leave a legacy that we can all share today. I enjoyed this wonderful film immensely and highly recommend it to all. For those who think that the middle ages were dark and devoid of serious learning and achievement this book provides the antidote. Filled with interesting detail about the technological progress and prowess of civilization in the middle ages, this history of technology by Frances and Joseph Gies makes the case that the dark ages were not so very dark. 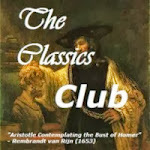 They argue that there were continuing achievements in science and other areas that provided the foundation that led directly into the Renaissance. The lines between eras cannot be drawn so very neatly. In 1949 William Faulkner wrote this story of an unjustly accused African-American man, Lucas Beauchamp, and a boy, Chick Mallison, who comes of age as he discovers the personal meaning of relations between the races. Isolated in a county in the heart of Southern culture, this story gains power through the pen of Faulkner who leads the reader through the minds and lives of his characters with his genius. While this novel does not overwhelm us like The Sound and the Fury it is able to move the reader and convincingly portray another group of Faulkner's southern characters. I cannot remember the last time I laughed so hard and long as I did on Saturday afternoon when I attended the theater around the corner from my apartment. 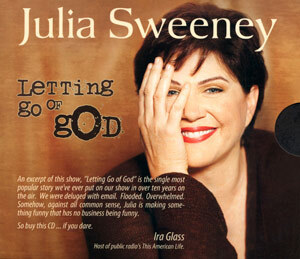 It was there that I saw Julia Sweeney perform her one-woman show, Letting Go of God. Her presentation was in the form of a family memoir, but more than that it was the story of her personal search for the meaning of God in her life. The search was filled with some very funny incidents and some that struck close to home in a much more serious way. The unexpected conclusion of that search was the realization that she must let go of God, both for her own personal and spiritual survival and to allow her to continue on the search. The search reminded me of that of Binx Bolling in Walker Percy's The Moviegoer. Except Julia's obvious outgoing nature and the real warmth of her humanity suggests that she does not share Binx's loneliness. I am glad that I was able to be there Saturday afternoon for Julia to share some of her humanity with me. 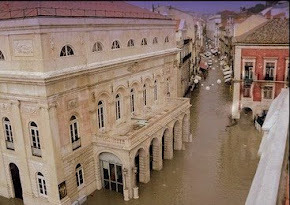 I received a greeting from a fellow reader and Dickens Scholar (among other things) reminding me about this day. While not joining in the celebrations, I will pen this brief greeting for I have enjoyed my reading of James Joyce. The celebrated Ulysses was a challenge, and one that was worth the effort. However, my favorite is the small and delicate voice of Joyce found in The Dubliners. Joyce was a giant and literature is richer for his profound contribution. A poet, novelist, dramatist and biographer, Stephan Zweig (1881-1942) was a brilliant writer, documenting both historical lives and his own. Of his non-fiction I particularly enjoyed reading The World of Yesterday, his personal memoir of growing up in fin de siecle Austria and the early years of the twentieth century. Written the year before he died, the book is a testament to his life, a life of the mind and a life of letters. Unfortunately the last years of his life were spent as an exile from his homeland and in the year after finishing this memoir he and his wife committed suicide together. The World of Yesterday, Stefan Zweig. University of Nebraska Press, Omaha, 1964. Reading history is fun when the history is well written and presented in a compelling narrative. John Barry's account of the influenza epidemic of 1918 is just that. I found his account to be well-researched. He complements the scientific detail, including clear accounts of the scientific process, with biographical narrative highlighting the lives of the major players, researchers, scientists, doctors. After an introduction that enlightens the reader about the development of what we know as modern medicine he interlaces the spread of the epidemic with details about the political ramifications. While at times a gruesome story, with death counts incredible to comprehend, it is a human and humane story of people who strove to conquer a terrible plague that spread throughout the world. The Great Influenza, John Barry. Viking, New York, 2004. Last night I attended the Griffin Theater Company production of The Constant Wife, a comedy written by W. Somerset Maugham. The play was a delight from start to finish with particularly good performances by Vanessa Greenway as Constance Middleton (the wife of the title) and Kate Harris as her mother. Maugham crafted a play about what in the mid 1920's must have been a bit less common than now, the new independent woman. With delicious biting wit and delightful intrigue the play had me laughing about the foibles of Constance's doctor husband who was having an affair with her airhead of a best friend (played with an authentic air of frantic style by Stacie Barra). Through all the commotion of this Constance maintains a cool rational perspective, refreshingly in a play where she is surrounded by women who are almost caricatures of various female types. She truly portrays the epitome of a "constant wife". The production was well done from the set and music to the period costumes. It was an evening where the laughter was consistent enough to make my theater companion forget all about her sore ankle. If the other plays of Maugham are as much fun I can easily understand how he once had four plays running simultaneously on the London stage. As I was running in Lincoln Park this morning I wondered if the distance of the run made any difference. My run today was short, in fact my longest runs would probably be considered short by some runners. However I do run different distances on different days. In one sense the distance is relative, and my long runs are only long when compared with my own shorter runs. In another sense, more important perhaps, the distance does not matter. For it is the running that matters, the action itself. Movement is key and if I do that regularly the distance will take care of itself - so to speak. Nikos Kazantzakis gives us these two men in a story demonstrating this contrast and develops a dialog between the characters to which we as readers can respond. 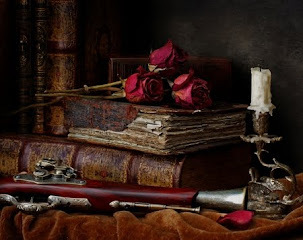 His narrative asks big questions such as: what is liberty to a man; how can you be true to your nature as a human being; and, what is the relationship of the real to the ideal? In its pages you find references to Buddha, Nietzsche, Marcus Aurelius and others -- but most of all you encounter a good story full of life and love and the adventure that results from two men who challenge each other in their pursuit of the spirit of living. Last night a small group of us met at a friend's condominium overlooking Monroe Harbor and Lake Michigan in downtown Chicago. We had a delightful meal and settled in for an evening's listening to some of the works of Claude Debussy (1862-1918). From the orchestral splendor of La Mer and Images through the delicate pianistic impressions of Claire de Lune and the Petite Suite we thoroughly enjoyed the astonishing range of this eccentric, yet appealing, composer. The most astounding moment was when we listened to his Sonata for Cello and Piano written in 1915, in the middle of World War I and only a couple of years before he succumbed to cancer. This late work had sharper edges to its melodies, more astringent with a sound that looked forward to Webern rather than backward to Wagner and Liszt. Had he lived to compose more! How often we think of those composers (think of Schubert) who reached their peak in the very last year(s) of their life only to be cut off. Well, Debussy had a good go at it and we enjoyed some of that genius' legacy at our Saturday evening musicale.